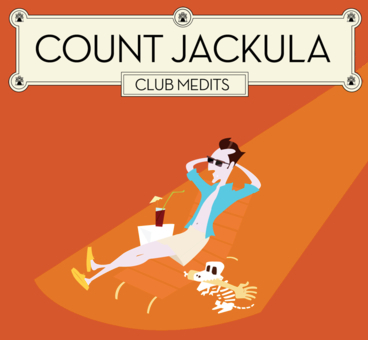 Count Jackula is the new alter ego of portuguese Dj / producer / composer Luis Clara Gomes (better known as Moullinex) and his debut release, the Club Medits EP, has caused quite a commotion in electro circles. This project is pretty different from Gomes’ work as Moullinex but the mindset is still the same: getting crowds up on their feet and dancing. Released on Lisbon-based independent label Discotexas (an imprint Gomes helped found), Club Medits EP counts with the help of fellow countrymen Photonz and French electro wizard Golden Bug, who deliver two distinctive remixes of the irresistibly funky opening track “Africa”. To promote the release, Discotexas is giving away a superb remix of the track “Slowburner”. Hemingway speeds up the pace a little on this remix and adds some oomph to the formula, turning this track into a true dancefloor killer. Perfect for a saturday night!